Our aluminium bi-fold doors provide luxury access to your garden, offering enhanced energy performance and smooth operation. Combining beautiful aesthetics with advanced functionality, these aluminium doors are a practical yet stunning home improvement. 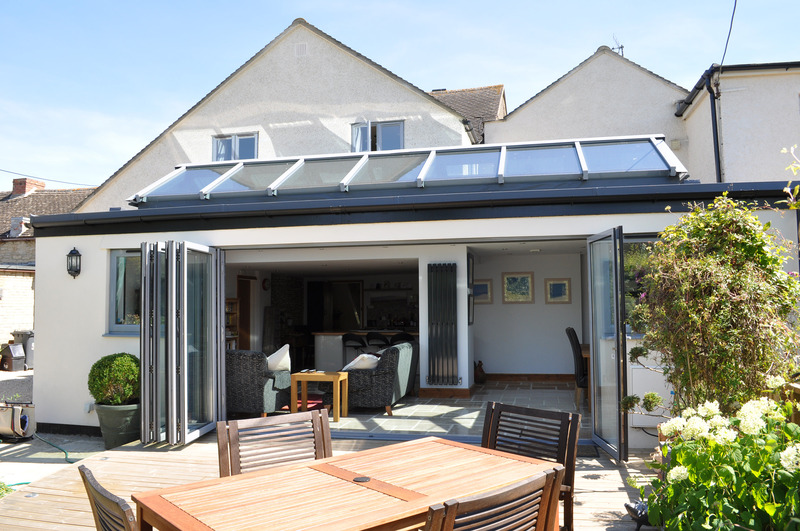 The beauty of bi-folding doors lies in their smooth folding motion, opening wide and making the most of your outdoor living space in Margate, Herne Bay, Canterbury and Kent. The aluminium frame gives a sturdy and resilient profile which will never rot, warp or become unhinged, perfect for everyday use. Our range of aluminium bi-fold doors is from the most highly thought of manufacturers, giving you more choice. Whatever your budget, style or space, we are sure to find the perfect match for you and your home. 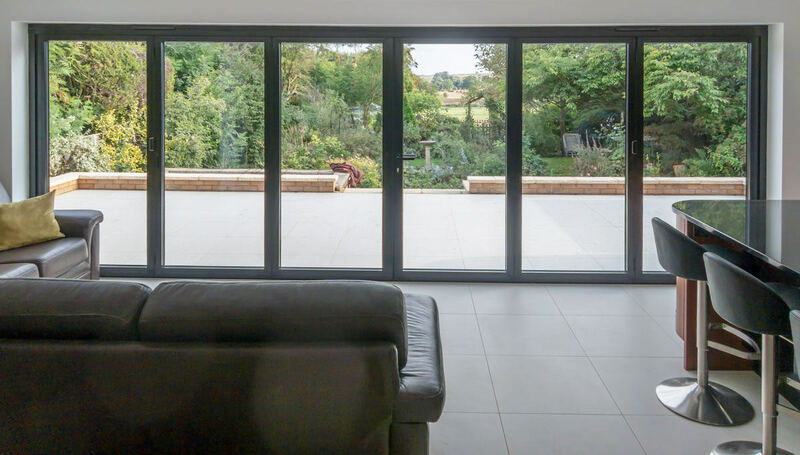 All of our aluminium bi-fold doors offer high quality and performance, so you can be confident that you will receive many years of enjoyable use. The Smarts Visofold 1000 profile is a true leader within the industry due to its superb versatility and fantastic thermal effectiveness. With a choice of different fold options from either side and an attractive slimline framework, available with a choice of square or rounded edges, we are sure that we can create the right door for you and the space you have. Every bi-fold door is fitted with a secure locking system that has a ‘lift up’ handle for simple use. With the Origin bi-fold door, you have all the practical benefits of unique features such as finger-safe gaskets to prevent trapping, special threshold designs for wheelchair users and strong magnets to hold the doors in place and stop them from slamming. These doors are available in a range of designs meaning that they are suitable for almost any space, including corners. Our Schuco Bi-Fold Doors offer the very best in German engineering, and provide premium levels of strength, functionality and durability. Perfect for linking two internal rooms or building to garden, our Schuco Bi-Folding Doors are a popular choice for both homeowners and commercial projects. As with all our aluminium products, you have the vast choice of over 250 RAL colours to truly tailor your bi-fold doors. You can also opt for dual colours, which means you can have a different colour on the inside profile to that of the outside, and our high quality finishes are guaranteed for 10 years. The super strong thresholds are perfect for everyday wheelchair access and come with several low threshold options, as well as an impressive sash width of 1200mm. 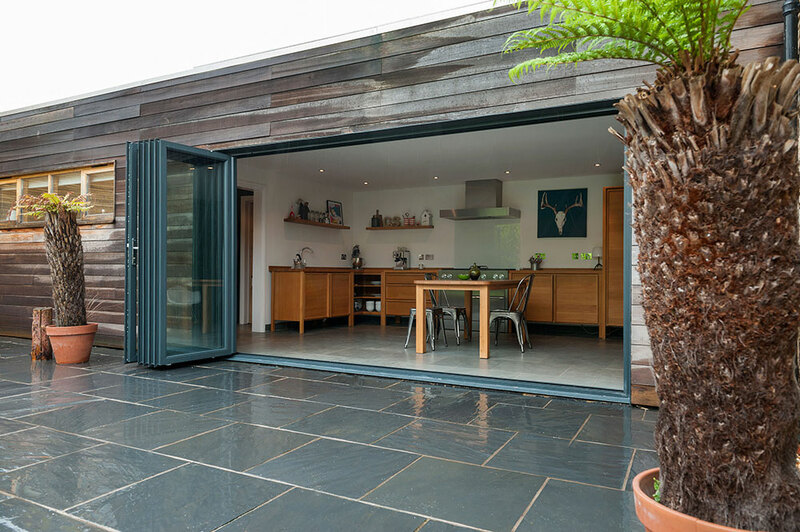 Our sought after aluminium bi-fold doors can be used in all sorts of buildings as they not only provide a stunning opening between your garden and home, they are also ideal for use in commercial projects. One of the many excellent design features of our aluminium bi-fold doors is that they are thermally broken and so heat will not be lost through the frame, keeping your home warmer for longer. Draughts are a thing of the past and these doors are tested to make sure that they can protect you from all weathers, so no matter how bad the wind and rain is this year, your home will be comfortable and dry. 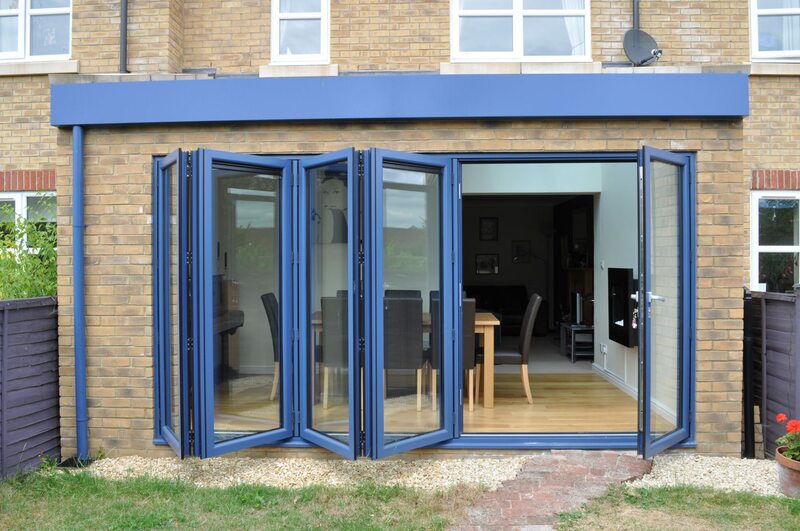 Because we work with a variety of high class manufacturers, we are able to offer our customers truly competitive bi-fold doors prices in Margate and throughout Kent. We can provide you with a free, no obligation quote, so start your online quote today! Alternatively, contact our friendly team for more information. We can guide you through the wide range of options available for your new aluminium bi-fold doors.